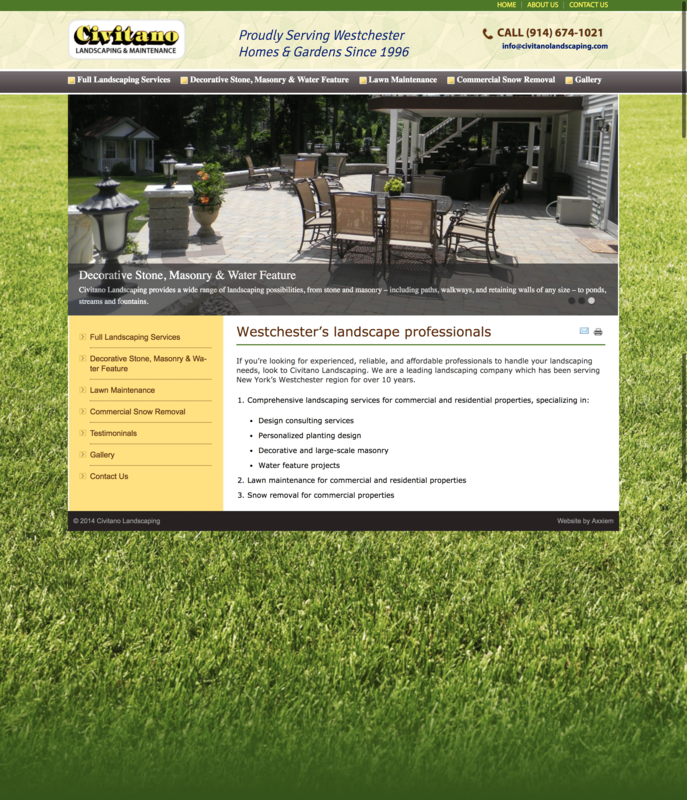 Civitano is a leading Landscape Company which needed a new site that featured some of their past project which bet reflected the standards this company brings to its work. 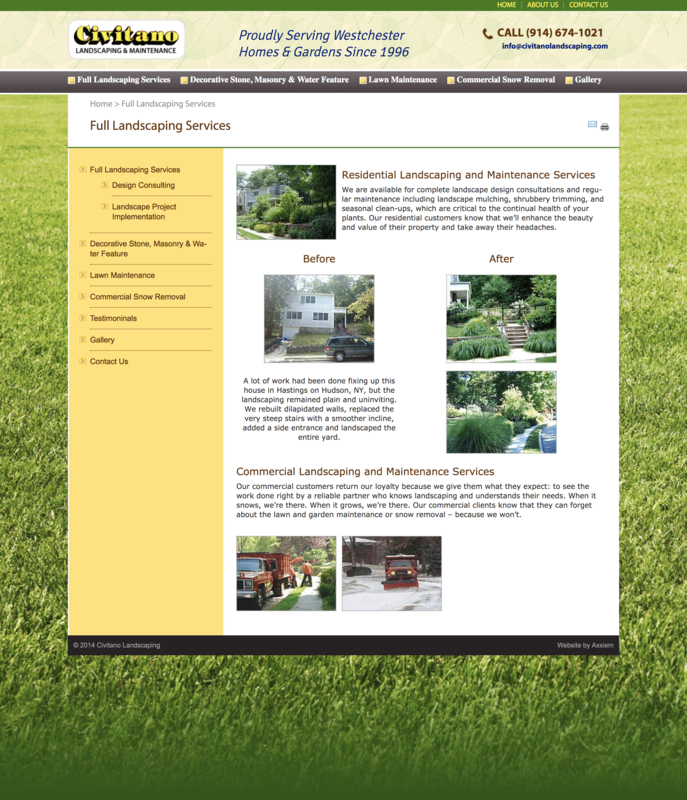 Key to the site was presenting was a design that didn't look like everyone else out there. Engaging before and after sequences, waterfall video and many project images help the visitor to see why Civitano is the firm to call.